We, at Carhire, put the safety of our clients first. Our fleet consists of modern, stylish and well-maintained vehicles to cater for your individual needs. 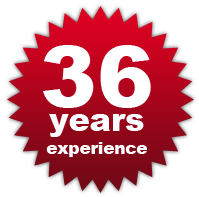 We have 36 years experience in the car rental industry and have formed valuable partnerships with leading South African car rental companies. We pride ourselves in providing high quality vehicles and service along with affordable, flexible and innovative rental rates. All our rates include vehicle insurance. We deliver vehicles in South Africa and Namibia. You can phone our offices or request a quote online, completing our quotation form. “Perfekt service - I only can recommend you as reliable partner and friend since years ! !